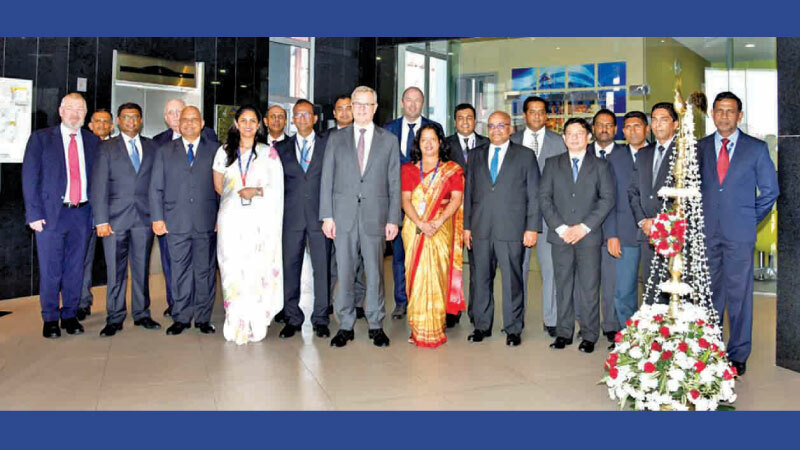 SAGT South Asia Gateway Terminals (SAGT) team welcomed Soren Skou Chief Executive Officer A. P. Moller Maersk A/S on his inaugural visit to Sri Lanka. Romesh David CEO, SAGT, accompanied Skou and Maersk Group representatives on the terminal visit, presenting the enhanced value proposition the Port of Colombo (PoC) offers the maritime industry beyond just the port’s geographic advantage. Skou, who heads Maersk Line, the largest container shipping company in the world, was very taken up with the existing port infrastructure, the expansion potential and more-so with the warmth and hospitality of the people here. During his visit he called on President, Maithripala Sirisena, the Prime Minister, Ranil Wickremasinghe, the Minister of Ports, Shipping and Southern Development, Sagala Ratnayake. He also visited the Sri Lanka Ports Authority, Maersk Lanka, Agents in Sri Lanka for Maersk Line and Krishan Balendra, Chairman, John Keells Holdings. South Asia Gateway Terminals (SAGT), the first Public Private Partnership container terminal in Sri Lanka with approximately 60% Sri Lankan shareholding, commenced operations in 1999, launching the Port of Colombo as global trade’s preeminent gateway hub in South Asia. SAGT is a Board of Investment flagship company whose shareholders include – John Keells Holdings, Maersk/APM Terminals, Sri Lanka Ports Authority and Evergreen Marine Corporation.